Who else is exhausted after three days of comic con goodness? Maybe you’re not exhausted now because hopefully you have had some time to recover. I’ll bet you were exhausted on Saturday night when you got home. Maybe I’m just saying that because I was so tired. I always am after Salt Lake Comic Con, but it’s always worth it. 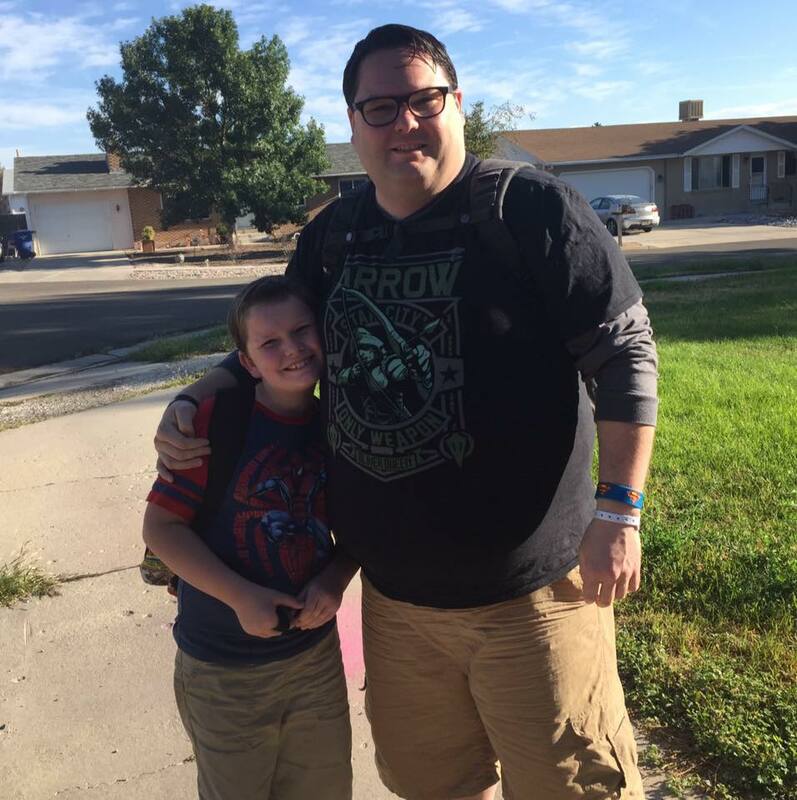 One of the great things about a giant pop culture convention like Salt Lake Comic Con is all the different people who come, and all the different experiences to be had. There is really something for everyone at these kinds of shows. As a result, there is no way to see everything there is to see, and everyone has a totally different experience. 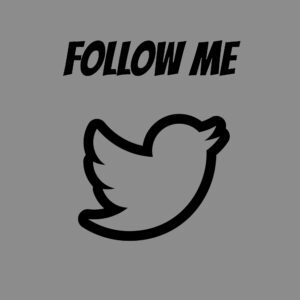 This post is a rundown of my experience, which might be totally different from yours, except that we both probably had fun. The really big celebrity at this year’s event was Mark Hamill. In fact, I don’t know how they will ever top it. It was a big deal. His panel became the must see, can’t miss event of the convention. It was such a big deal, they had to move it across the street to the Vivint Smart Home Arena, which seats 20,000 people. There were hopes that they would fill the arena to capacity, which would have been amazing for a Thursday midmorning. They didn’t hit that number, but there were probably 12,000 people there, and it was really cool. Hamill was charming and great. Of course, he could not talk about Episode VIII, but listening to him relate how he got “drafted” to be in Episode VII was awesome. Immediately after Hamill’s panel was William Shatner’s panel. I stayed because I love Star Trek and this year is the 50th Anniversary. This week in fact. I felt, as a Trekkie, it was my duty to be at his panel. He was entertaining, and shared an interesting story about how he was working on a play written by someone who was associated with the University of Utah, and was performing here in Salt Lake, when he got the call that Star Trek had been picked up as a series. Thursday was also the first panel I got to participate on this time around. I had pitched the idea for this panel, or one very similar, for FanX earlier this year. I believe they had the panel, but it was at the same time as another panel I was on, so I wasn’t able to join. I was so thrilled when they invited me to participate this time around. The panel was Star Trek at 50: Who’s Your Captain? It was really interesting to discuss each captain and what made them a good captain and why we liked them. The panel featured experts Sean P. Means, Christie Golden, Tyson Huber, and Jennifer Wardell. My captain, by the way, is Benjamin Sisko. I was a long time Picard fanboy, but as I’ve grown up, I identify more with Sisko. On Thursday I also attended a Future of Doctor Who panel, which featured a friend of mine, Tracy Mangum, who I met doing similar panels before this. I also attended a panel on Shakespeare in Star Trek which featured another friend, James Christopher Thompson. One of my favorite things is getting to see people who I have met through doing these shows. Many have become friends. I did go to one other celebrity panel, and it was Billy Boyd from Lord of the Rings, one of my favorite movie franchises. It was an incredibly entertaining panel. He seems like someone who doesn’t take themselves too seriously. He sang and told jokes and laid on the floor to talk to fans and even called Dominic Monaghan. It was maybe my favorite celebrity panel of the day, outside of Mark Hamill’s. 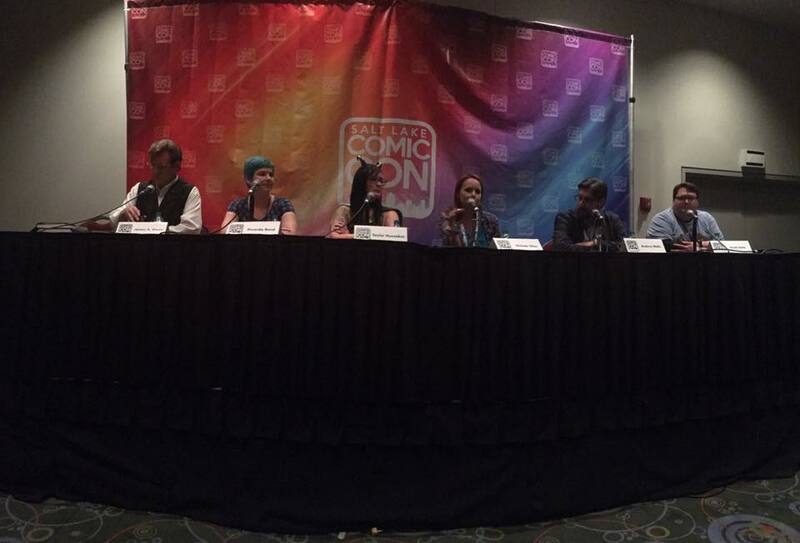 On Friday, I had the opportunity to moderate a panel called Behind the Glasses-Why Superheroes Need Secret Identities. As always, it was packed with experts who all brought some great perspective to the subject. The panelists included Gwenda Bond, Nichole Giles, Taylor Hunsaker, Andrew Malin, and James A. Owen. Plus, it was packed, and the audience had plenty of questions, which stimulated some great discussion on the panel. I enjoy moderating and listening to incredible experts like these. This is such an interesting topic, and we did decide that superheroes need secret identities to protect their families and loved ones, as well as to stay grounded. We also decided that with the right resources, one could successfully pull it off. Another highlight from Friday was going to the Hidden Secrets of Disneyland panel. I love this panel, and try to go each time they have it. The only issue is that every time I go, I obsess over the park for months afterward, and try to figure out how I am going to go again, and take all the kids. There are few things I like more than discussing Disneyland. The one celebrity panel that really stood out to me was the Evana Lynch spotlight. She was so much fun. She is Luna Lovegood. She didn’t just play that character, I feel like she is that character. She was so nice to all the people who asked her questions, and so quirky and fun. I hope my daughters grow up to be like her. Saturday was the first time that my son went all day to comic con. Her was so excited, and to be honest, so was I. I love being able to share the things I love with my kids, and it is fun when the kids want to be a part of it. We left early in the morning, and stayed until early evening. There was plenty for him to see and do, and it is always cool to see the con from his perspective. I hadn’t spent a lot of time on the vendor floor up to this point, so it was fun to explore it with my son. He wanted to find all the cool photo ops, and we found most of them. He also enjoyed seeing all the costumes. There is always plenty to buy at the convention. 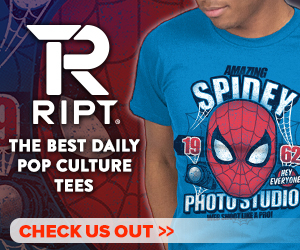 It is a great opportunity to find smaller, geek-centric businesses to support. There is something for everyone. Saturday was also my last panel. It was all about the new Star Trek Series and what we know and what we don’t. It featured a great group, including Rich Bonaduce, Tyson Huber, Jonathan Kroupa, and Larry Nemecek. This was by far the nerdiest panel I have been on. It was glorious. Larry Nemecek, in particular, knows everything about Star Trek. And he shared so much of it. And when we discussed the major issues with the new series (the ship, the CBS All Access issue), the conversation flowed easily. It was just great. It was a fantastic way for me to end my convention experience. There you go. 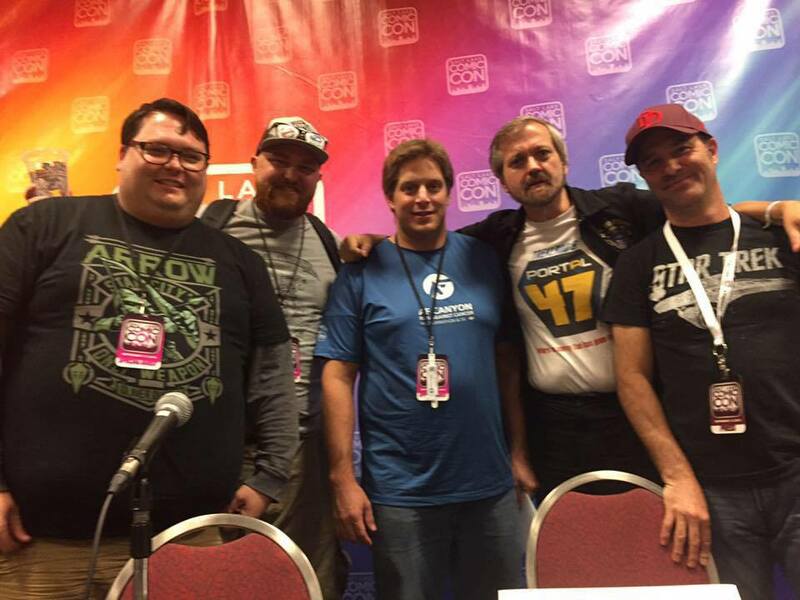 There is the rundown of my Salt Lake Comic Con experience. What were the highlights of your comic con experience? What parts did you not enjoy? 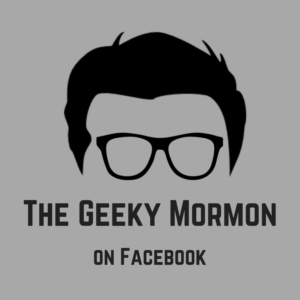 Let us know in the comments, or you can send me feedback directly at thegeekymormon@yahoo.com. 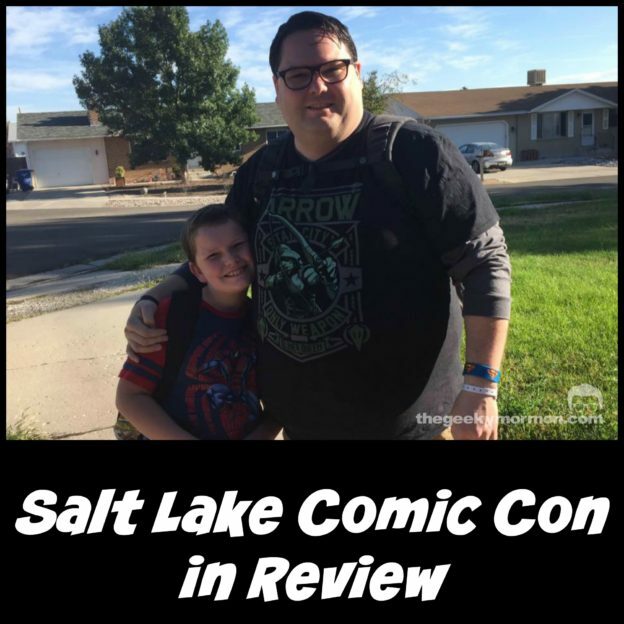 This entry was posted in Conventions and tagged Salt Lake Comic Con on September 6, 2016 by Jake Dietz.